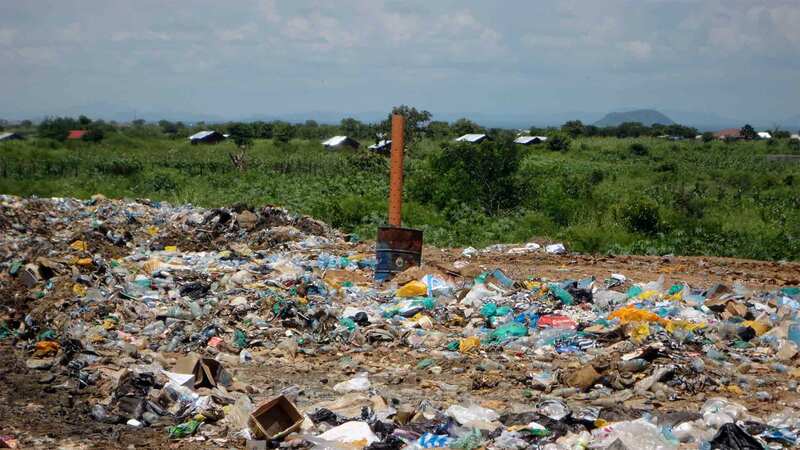 Located on Yei road, less than 10 km to the south west limits of Juba, the Lagoon Dumpsite has been in use since 2008. 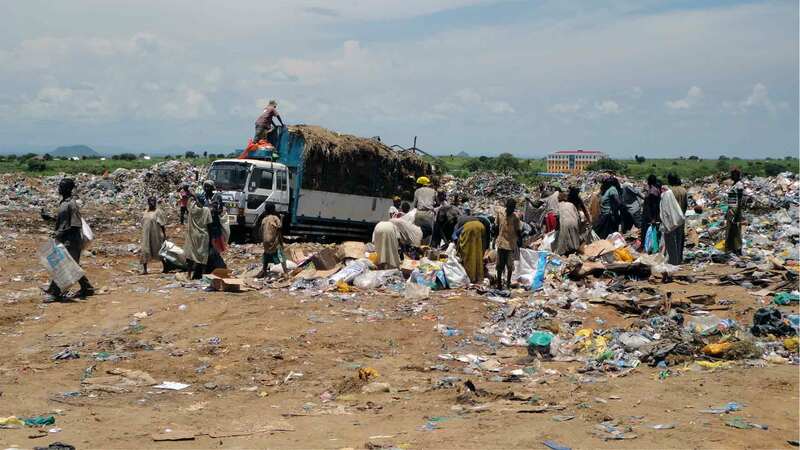 From 2012 onwards, a partnership between the Juba City Council, the Government of South Sudan and the Japanese International Cooperation Agency (JICA) led to improvements of the site: it was fenced and equipped with bulldozers and compacters. A waste collection program was also put in place in pilot areas. This cooperation was interrupted following the outbreak of civil war. 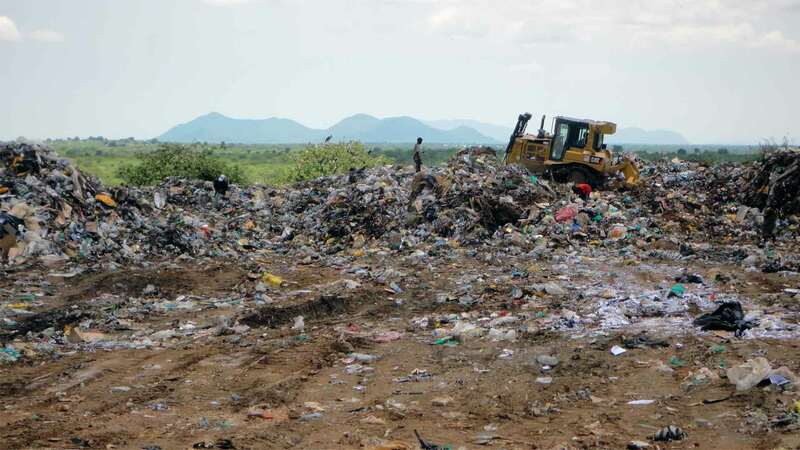 The Juba City Council by itself pursued waste collection efforts, but most areas still remain uncovered, and residents resort to burning their waste at home. 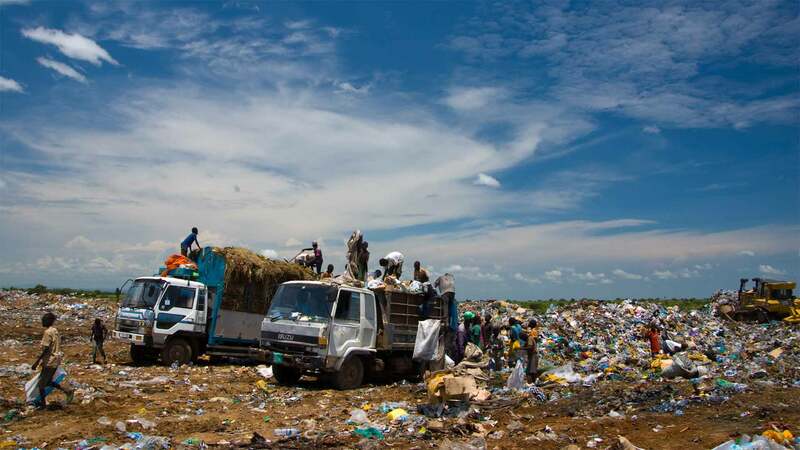 The dumpsite is also the informal workplace of waste pickers. Most came from outside of Juba and couldn’t find a job. They search for food items as well as recyclable materials such as plastics or scrap metal. Middlemen purchase these materials from the waste pickers and sell them in China. Poorly equipped, the waste pickers work in dangerous conditions. A child was reportedly killed by a vehicle in 2013. Hazardous hospital waste is a particularly high threat to their health. A meeting with the Japanese International Cooperation Agency (JICA) to talk about Juba's waste collection pilot programme. An interview with John, waste-picker in Juba. An interview with Suzan, waste-picker in Juba. Visiting the dumpsite, meeting its waste-pickers and a team conducting a waste analysis exercise.